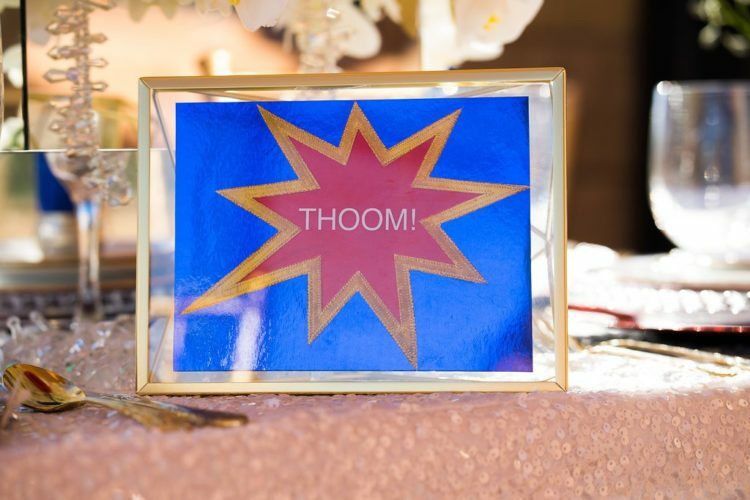 We featured two fun styled weddings from photographer Raelyn and her team, including a daring Pirates of the Caribbean shoot as well as a thematic Beauty and the Beast shoot. 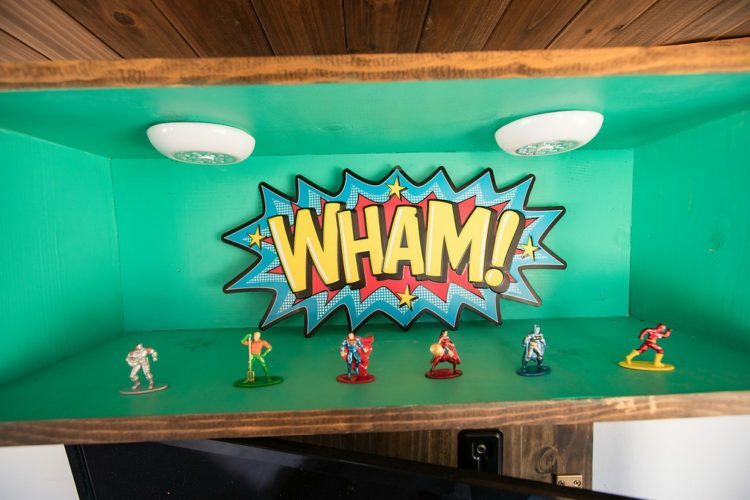 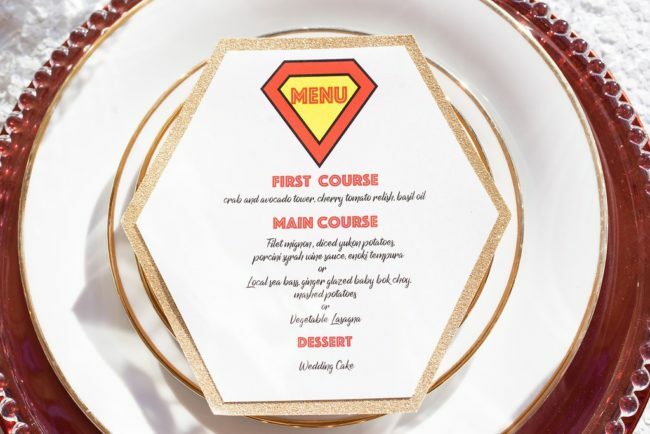 Today we’re delighted to feature this wonderfully whimsical superhero styled shoot! 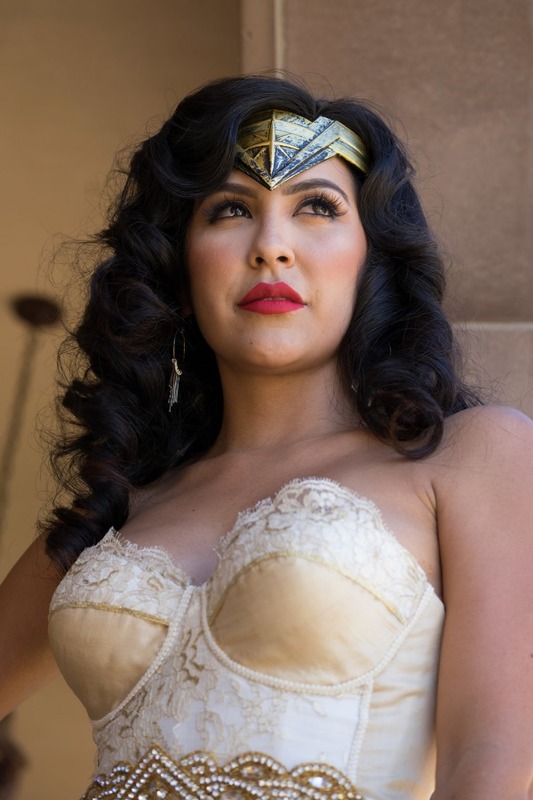 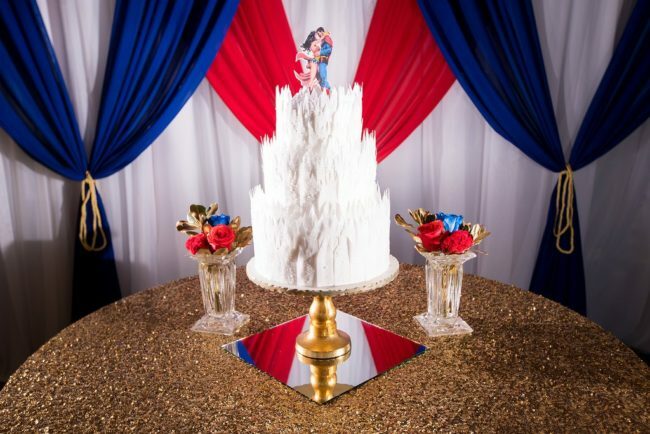 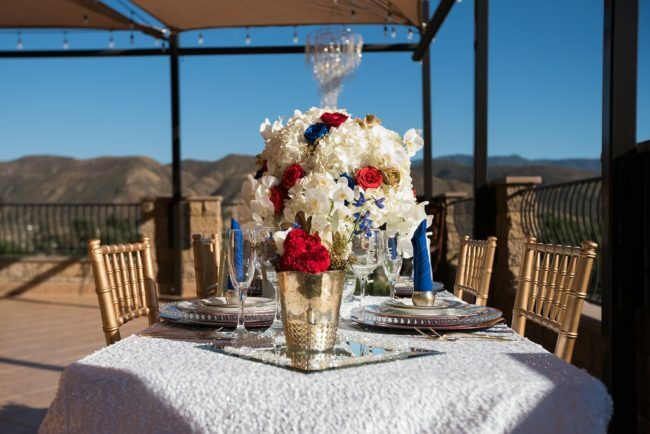 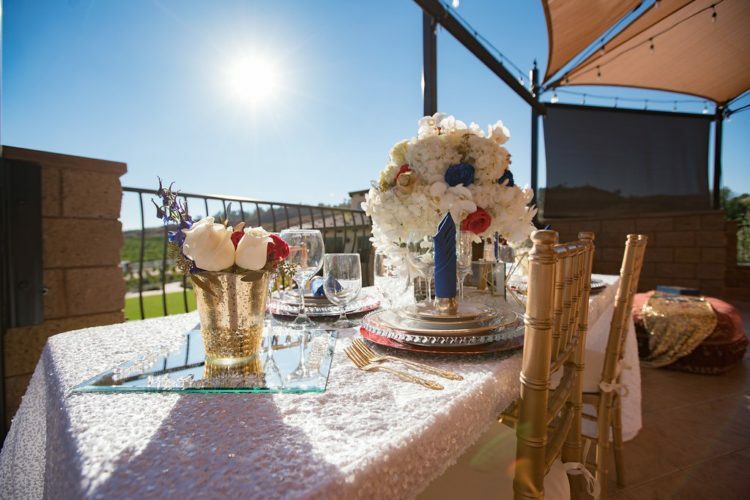 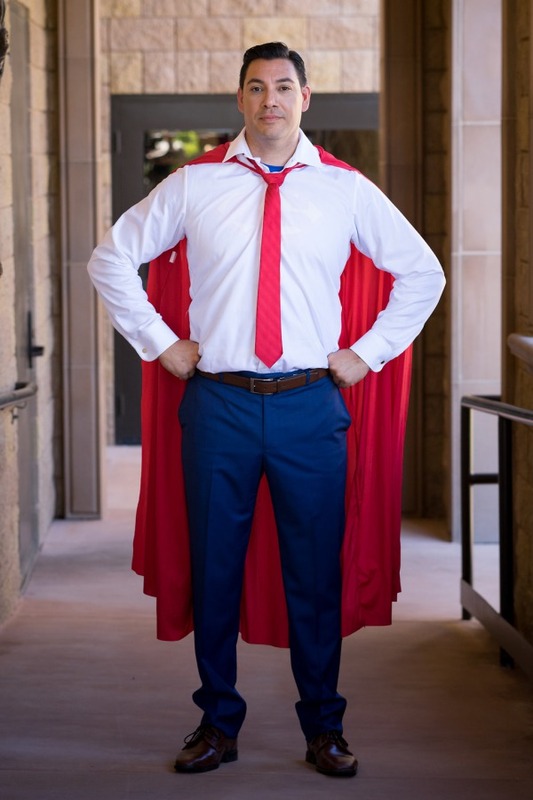 From the Planner: “I planned, designed, and styled the Wonder Woman Marries Superman styled shoot. 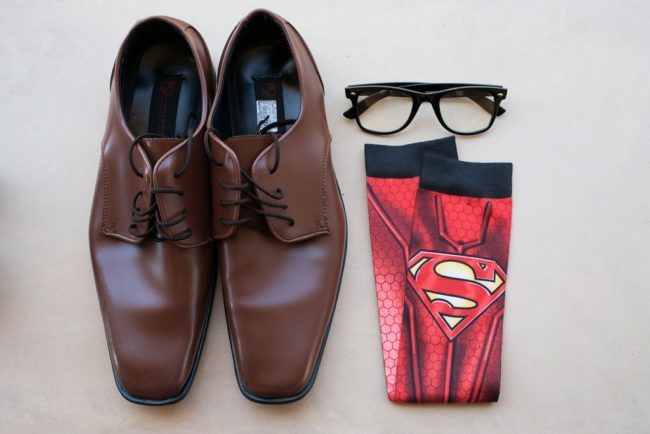 I did so because of my love for Superman and because I have been a huge fan of him since I was a child. I chose the theme because I am also fascinated with Wonder Woman and because Wonder Woman and Superman share lots of similarities. 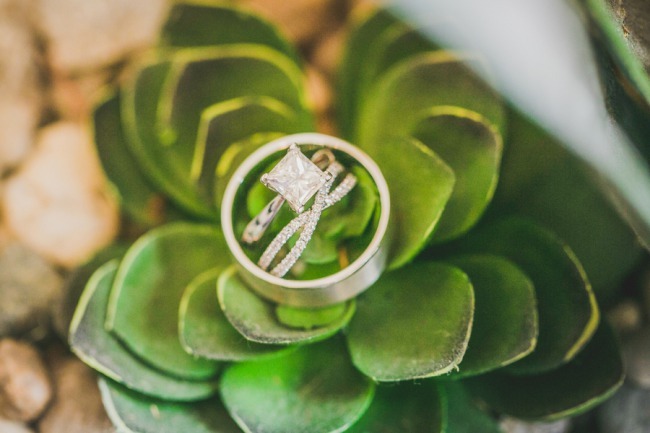 They are simply perfect for each other! 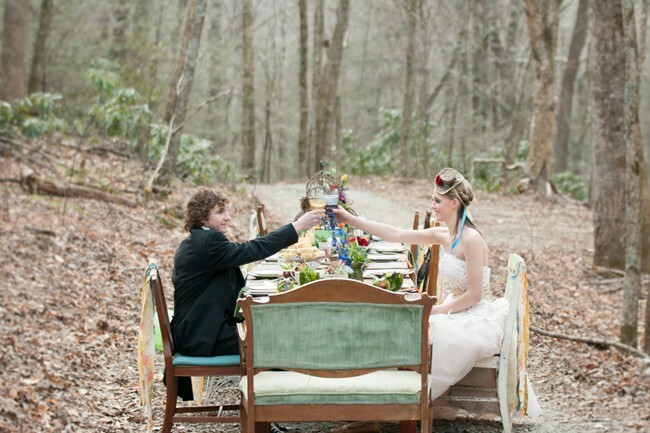 Stationary Artist’s Remarks: “Every time I do a new styled shoot it pushes my limits and my imagination so I enjoy every second of the process. 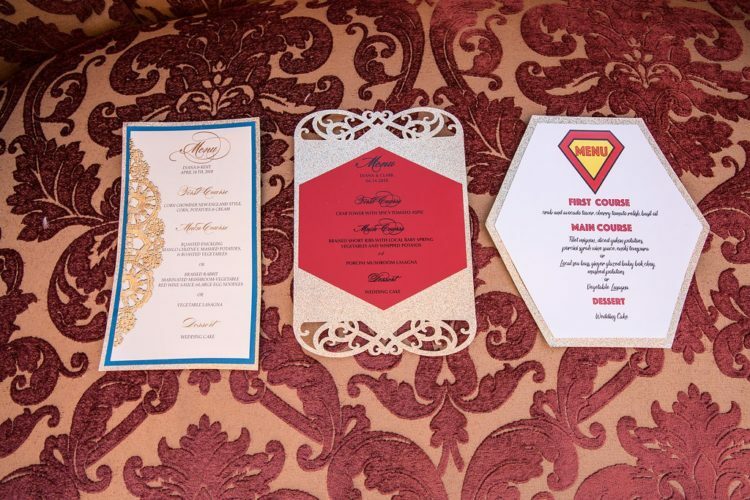 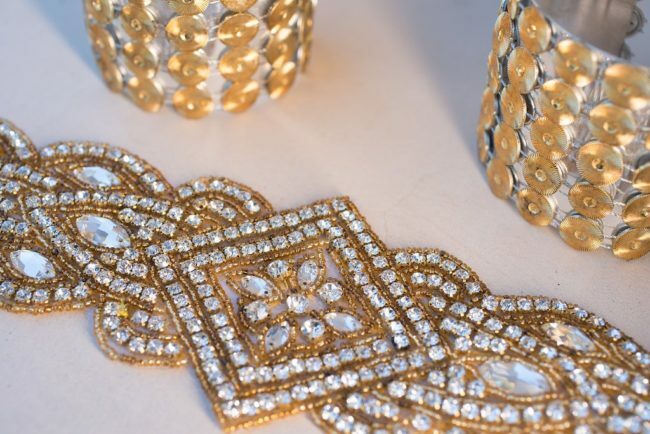 The gold details I used on the invitation cards were very unique and similar to Wonder Woman’s gold tiara which made this suite an exceptional beauty. 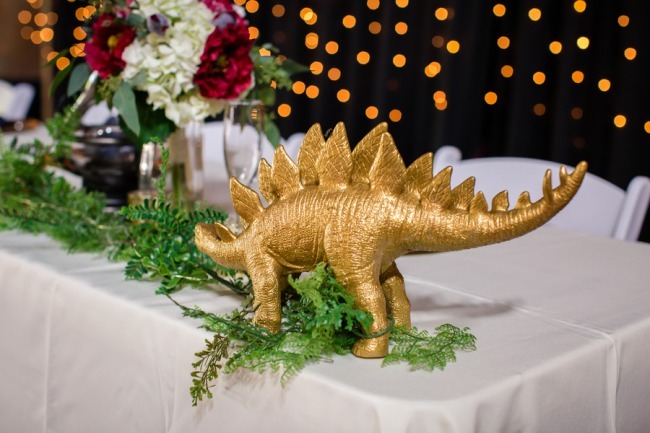 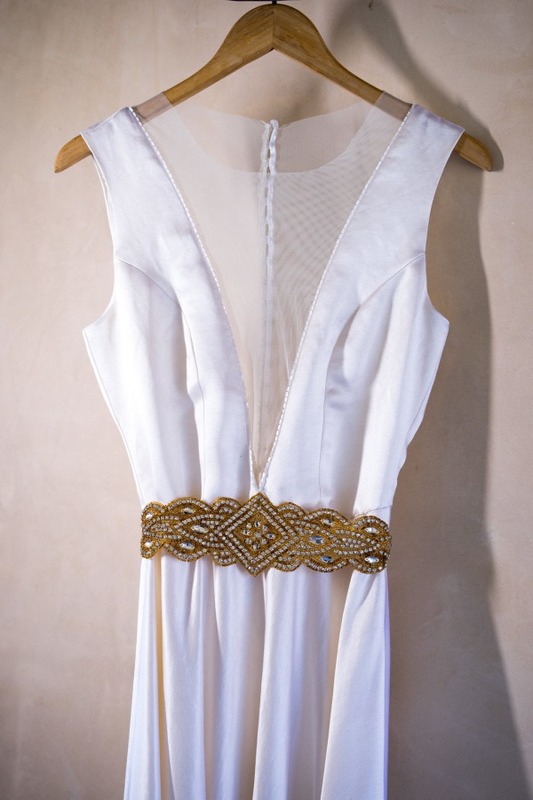 The gold glitter doesn’t shed and it gives the invitation the extra glitz and glam. The cards were printed on pearl shimmer paper for a dazzling look.